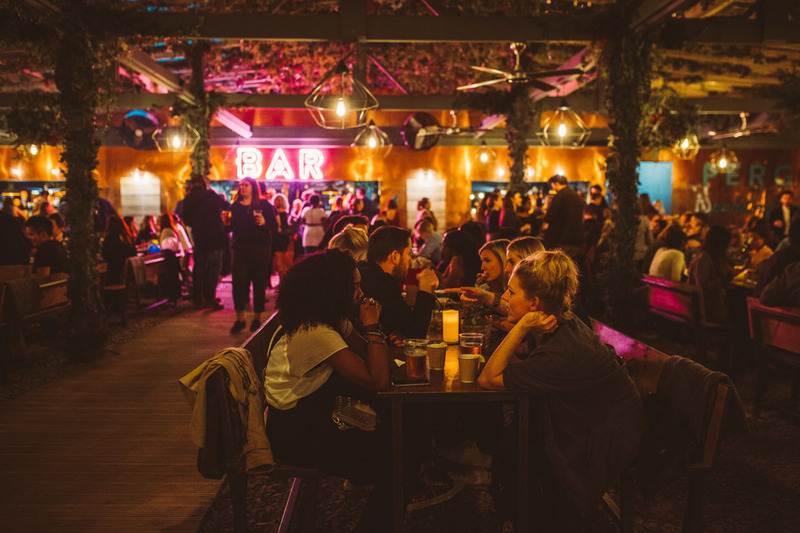 One of London's most Instagram friendly food courts, Pergola Paddington has proved to be a big hit and the fashionable food court is back with a winter makeover. Offering a warming cocktails menu, the vast venue, with a covered dining area for 850, has been weather-proofed for winter with thick blankets and heating as well as a transparent roof on the top deck. The four warming winter menus are by Southern Mexican specialists Yucatan, serving spicy, tropically infused Mexican food. Burger legends Patty & Bun are back again, alongside Vietnamese barbecue masters MAM and duck devotees Canard. Each has created a winter menu with a focus on wholesome and hearty dishes. It all adds up to a n ideal spot for a winter outing, fuelled by mulled wine. You can book in for free for groups of up to 199 people or simply walk-in and escape the cold , no booking required. Pergola Paddington gyms, sporting activities, health & beauty and fitness. The best pubs near London Pergola Paddington. Pergola Paddington clubs, bars, cabaret nights, casinos and interesting nightlife. Where to have your meeting, conference, exhibition, private dining or training course near Pergola Paddington. From cheap budget hotels to luxury 5 star hotels see our deals for Pergola Paddington hotels, including Hilton London Paddington Hotel from 82% off.